In his lifetime, Aldous Huxley was considered one of the great thinkers, a man who preached pacifism, the mystical possibility of sensual experience beyond that of the five senses, and the value of hallucinogenics to enter ecstatic states. Best known for his novel Brave New World (1932), Huxley wrote eleven novels, plus short stories, poetry, essays (one collection, The Doors of Perception, famously lent its name to the rock band The Doors), dramas, screenplays, and one piece for children The Crows of Pearblossom (written in 1944, published posthumously in 1967). The English-born Huxley moved to the American southwest in 1937 at the age of forty-three, alternating his time between Los Angeles, California and, starting in 1941, Llano in Antelope Valley, Mojave Desert, where he had moved for his wife Maria's health. His sister-in-law's family lived in the nearby town of Pearblossom, and the Huxleys were often visited by their young niece and nephew, Olivia and Siggy. For Christmas in 1944, Huxley presented Olivia with the short story The Crows of Pearblossom, which mentioned her brother and herself, as well as their neighbors. "ONCE UPON A TIME there were two crows who had a nest in a cottonwood tree at Pearblossom." At the bottom of the tree lives a snake, and every afternoon at three o'clock--while Mrs. Crow is at the store--he slithers up the tree and swallows whole whatever eggs are in the nest. This goes on for a year, two hundred and ninety seven eggs we are told, until one day Mrs. Crow comes home from the store earlier than usual. She catches the snake in the act. "'Monster!" she cried. 'What are you doing?' Speaking with his mouth full, the snake answered: 'I am having breakfast.'" He then slithers down the tree and gets back in bed. When Mr. Crow comes home, Mrs. Crow demands that he kill the snake. Mr. Crow refuses. Accused of being a coward, he replies "'I never said I was scared. All I said was that I didn't think your idea was a very good one. 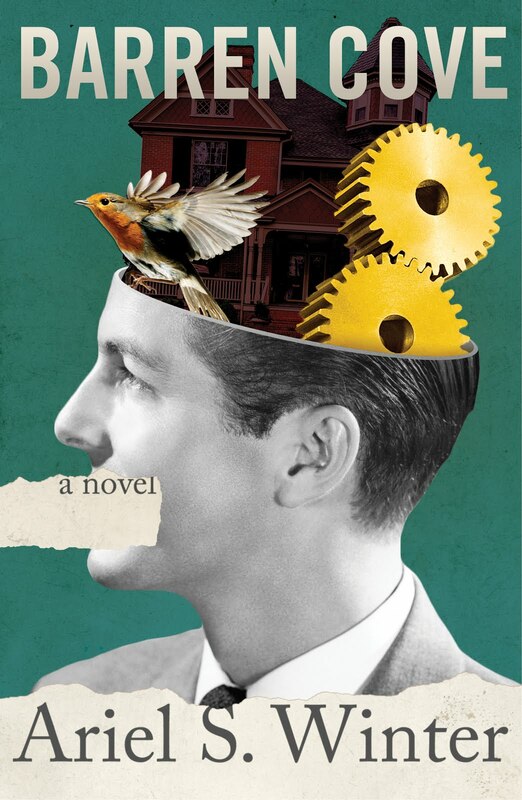 Your ideas are seldom good, I may add.'" So he goes off to see his friend Owl, a "thinker," and wise, of course. Owl has a plan. Owl leads Mr. Crow through all of the actions of making clay decoy eggs. They shape the clay from "Mr. Yost's alfalfa patch," they fire the clay in the chimney on "the roof of Olivia's house," and they paint it--"'lucky that Siggy has been doing some painting around the place"--pale green with black spots, "exactly like real eggs." The next day, the crows leave the artificial eggs in their nest, and then go about their usual daily activities. Sure enough, the snake slithers up at three o'clock and swallows the two clay eggs whole. He's so proud of himself that he even sings a song about the fact that he can eat the eggs even though he has no wings or legs. After the song is finished, however, he notices something's wrong. The eggs have not broken before reaching his stomach, and he now has a terrible stomach ache. He twists himself up in his agony, tying himself to the tree. 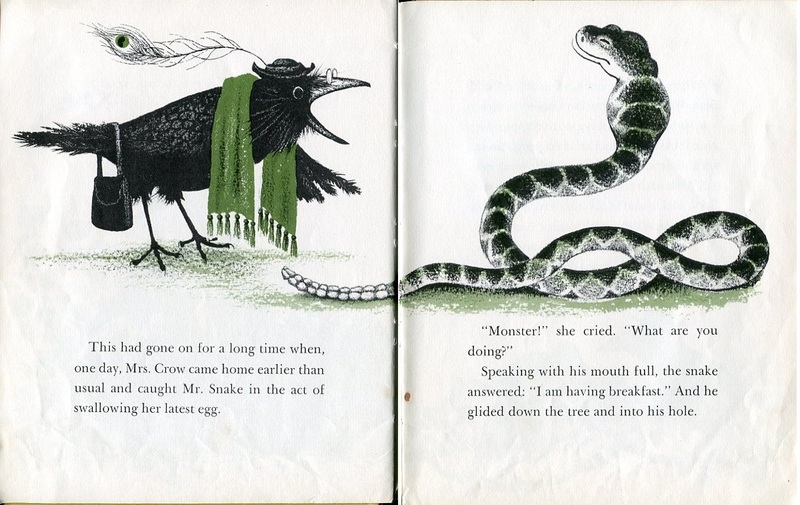 When Mrs. Crow returns from the store, she gives the snake a long lecture about eating other people's eggs. 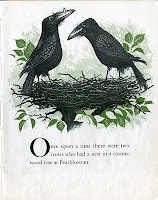 "Since that time, Mrs. Crow has successfully hatched out four families of seventeen children each. 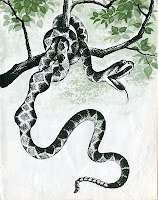 And she uses the snake as a clothesline on which to hang the little crows' diapers." 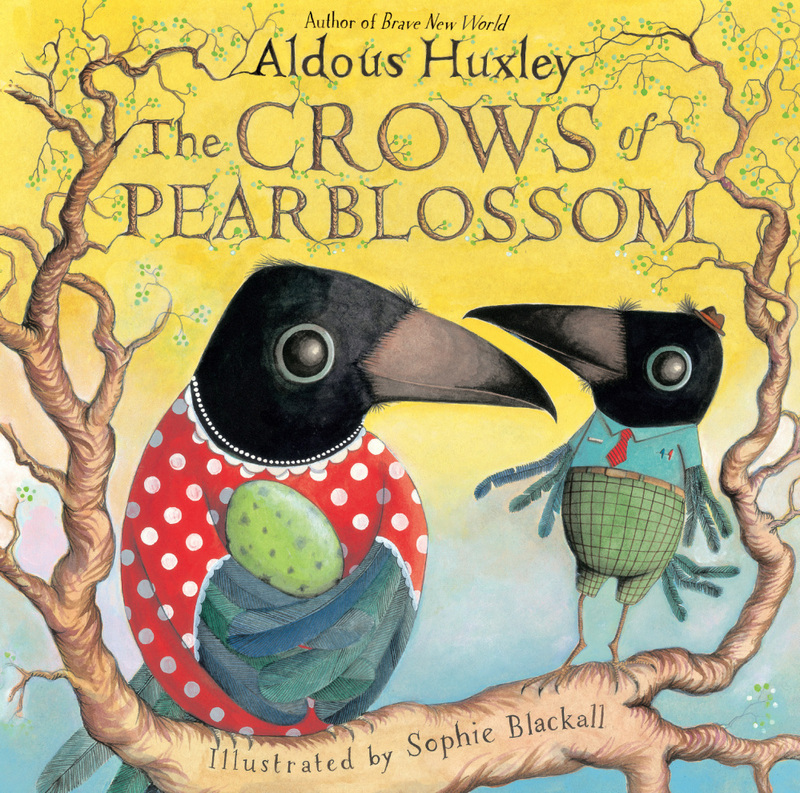 AFTER RECEIVING The Crows of Pearblossom as a gift, the five-year-old Olivia returned the manuscript to her uncle requesting that he illustrate it. The manuscript remained in Huxley's house until it burned down several years later. Fortunately, Olivia's neighbors the Yosts, mentioned in the story, had a copy that they preserved. 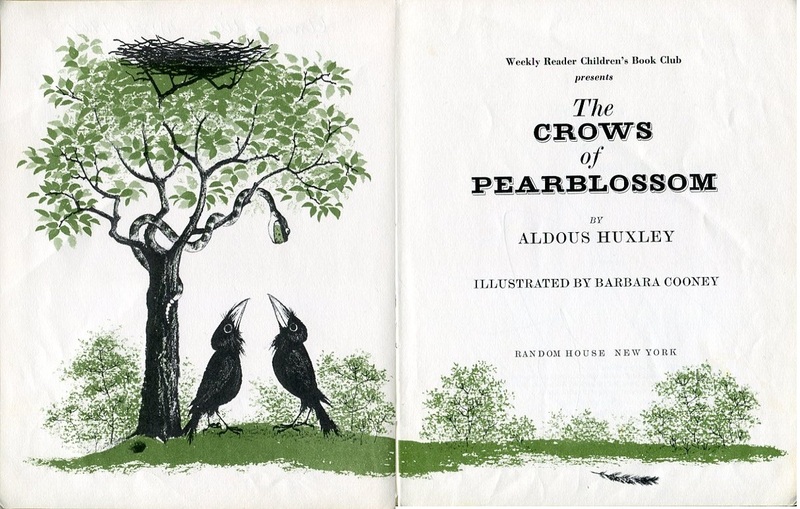 In 1967, four years after Huxley's death, Random House published the story as a picture book with art by the legendary Barbara Cooney, who had already won the first of her two Caldecott Awards. Nicholas Murray, in his 2002 biography Aldous Huxley, claims the tale as a pacifist fable since the snake is "defeated by intelligent strategy rather than by being killed." But in the end the snake is still dead, so that seems a bit of a stretch. He also mentions "There is possibly a touch of self-mockery in the character of Mr Crow: 'This is serious,' he said. 'This is the sort of thing that somebody will have to do something about,'" apparently something Huxley would have said. In truth, considering the cause of its composition, the story is nothing more than an excellent children's story, one that is well polished and worth reading. 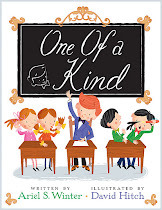 And fortunately, it has just come back into print in an edition illustrated by the great Sophie Blackall, illustrator of the Ivy and Bean series and The Big Red Lollipop. Olivia, for whom the tale was written, provides an afterword signed Olivia de Haulleville. (In the 1967 edition, the note says that she is now Mrs. Yorgo Cassapidis.) "I still live in the desert, near Joshua Tree National Park, and have my own two children...My brother Siggy's daughter now lives in the Yosts' old house, and this story is read to her three children." The background information for this post comes from the historical note at the back of the 1967 edition, and the almost identical note written by the recipient of the story, Olivia de Haulleville, for the 2011 edition. I also consulted the Nicholas Murray biography Aldous Huxley. Hi Ariel! Thank you for this interesting document, I have always loved this book and now I understand many more things about it, Thank you!! Haven't come across this book before, interesting post. 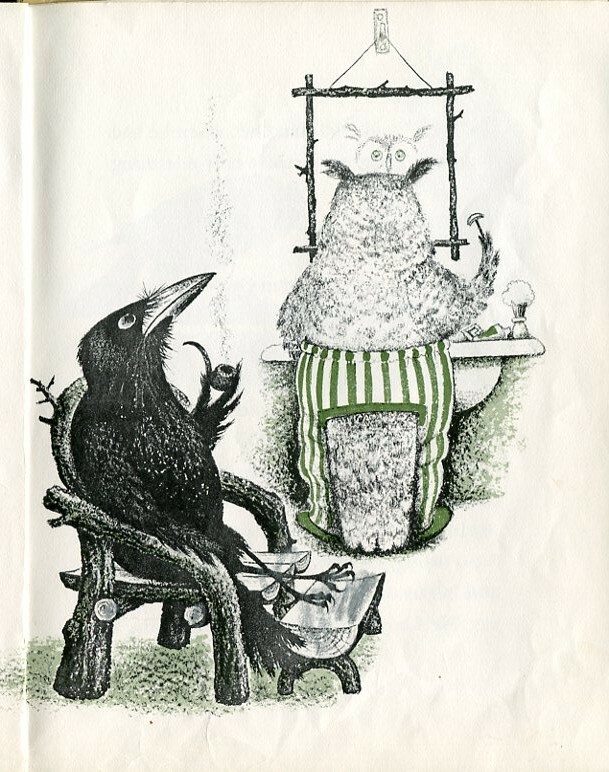 Barbara Cooney was such a great illustrator. I have been reading CHristopher Isherwood's Diaries 1939-1960, and he writes several times about encountering Aldous Huxley6 and family. Which begs the question: can you scare up a Christopher Isherwood children's book? Perhaps Jacob's Hands, co-written with Aldous Huxley? Not sure--it may well be an adult fable. Beatrice Alemagna has also illustrated a version of this book, which is really wonderful! 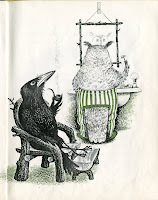 How wonderful to be reacquainted with this book from my childhood, which I was both fascinated and disturbed by. I remember well the story and illustrations as I look at them now on your site, although it has been close to 4 decades since I last saw them. Thank you for the post. I have this book as well as my two oldest boys. The Yosts, neighbors of Olivia, were my father's cousins.